Please note that I was invited to sample SnoLabs, as part of an event. All thoughts & opinions, as always, are honest & my own. 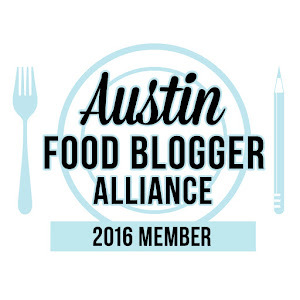 Even though Austin has had some unseasonably rainy days this Spring/Summer, when the sun has been shining, it's been H-O-T. Nothing new for Texas, I know. But it does make me crave icy, cool treats. If I'm going to have to endure the heat, I need a reward. A sweet, cold reward. 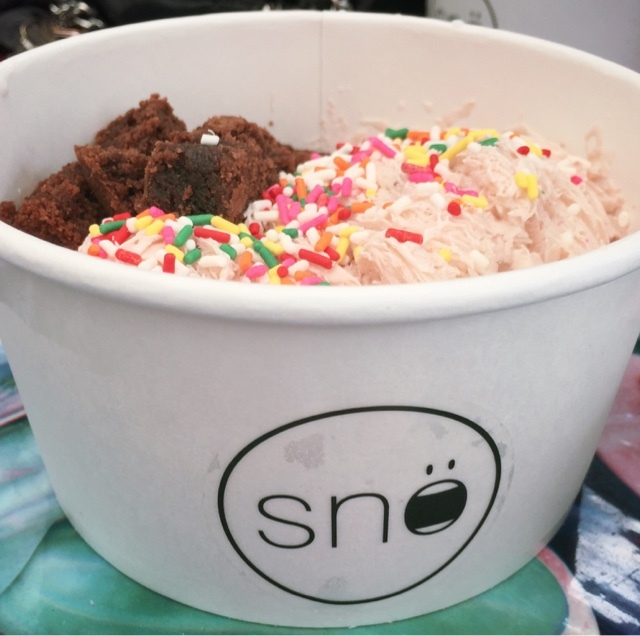 Last Saturday, I met up with some fellow foodies at the South First Food Court to sample a new-to-me frozen treat, Sno! Sno Labs has been serving up this Korean ice cream, sno cone hybrid since last year. 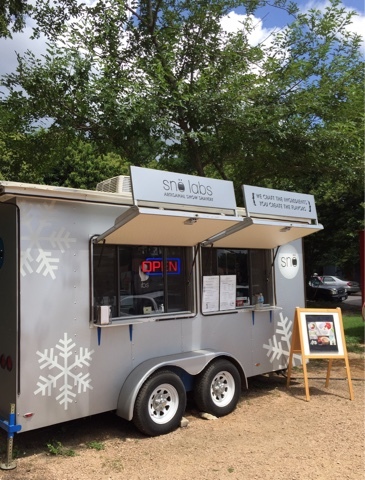 Their sno, made with all natural ingredients & no emulsifiers, is shaved using a machine brought all the way from Korea. 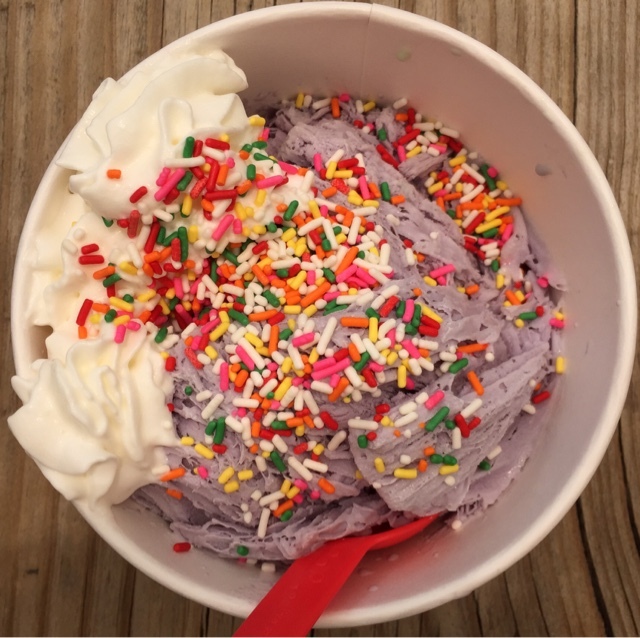 Sno is much creamer than a regular snow cone & a little more frozen than ice cream, with a fluffy texture that looks amazing in the bowl & melts beautifully in your mouth. 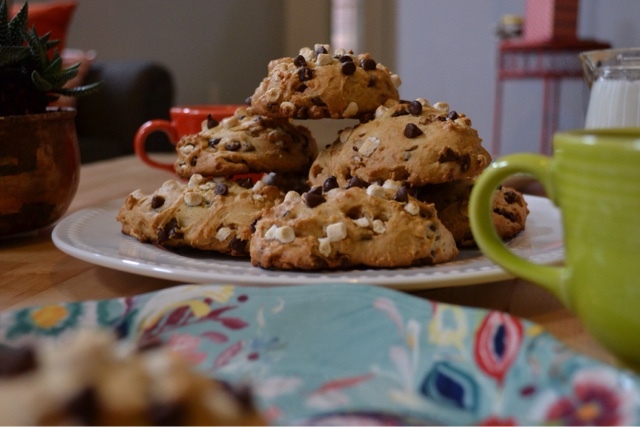 It's a cold treat you can feel good about indulging in. There are five Sno Labs flavors to choose from: original, blueberry, green tea, strawberry & vegan coconut. You get your choice of two toppings (a fun mix of Asian toppings & more traditional treat toppers) & an option of a chocolate, caramel or condensed milk drizzle. My pick for the day was this gorgeous blueberry sno with whipped cream & sprinkles. 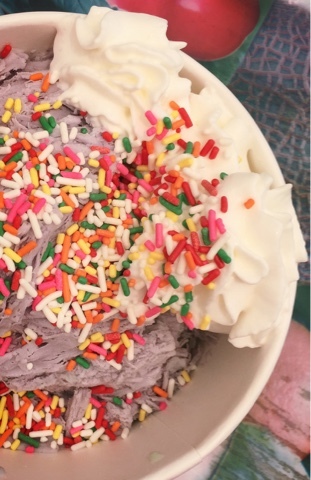 Because, you always need sprinkles. It had a bright pop of fruitiness & was not too sweet, a wonderful combo. As a table, we also tried the strawberry sno with brownie bites & sprinkles. 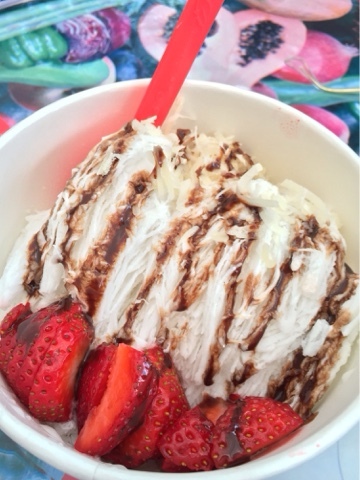 We also sampled the vegan coconut sno with coconut shavings, strawberries & a chocolate drizzle. I loved the blueberry & will definitely be treating myself to future bowls of it, but the coconut was a close second. My husband will tell you that I have an obsession with all things coconut (except coconut water, yuck!). This non-dairy option, was really smooth, rich & tasty!